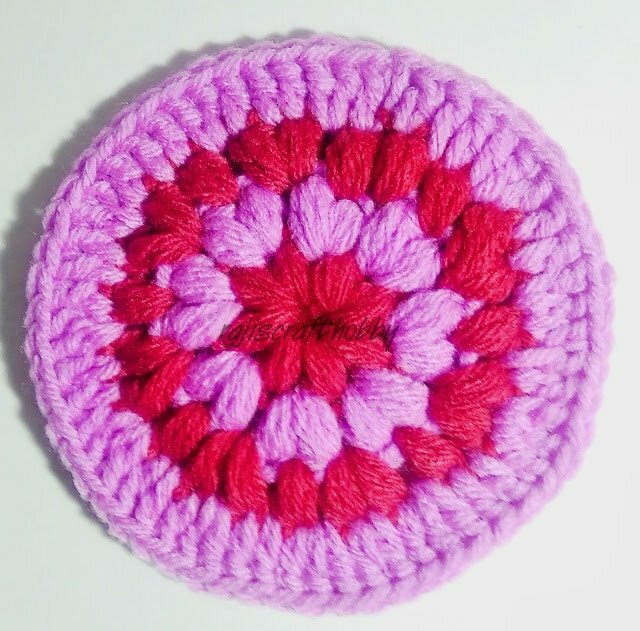 This is a Simple Puff Stitch Coaster with a Double Crochet edging. Make these pretty coasters by following the full photo tutorial included in the free pattern post. The Puff Stitch gives the the coaster a lovely texture. Coasters are the perfect way to dress up a coffee or side table. There’s nothing better than a burst of color to deck up your table. Make them in a variety of colors and these are apt to use up your scrap yarn.